Recent changes to Yale-NUS College study abroad policies have spurred a wave of discontent. Some students say the changes restrict their options and, in some cases, may force them to reconsider — or abandon — plans to study at an overseas institution. On Jan. 19, the Center for International and Professional Experience (CIPE) announced several changes to regulations regarding Yale-NUS study abroad in an information session. CIPE implemented policy changes to the quota for places at non-partner institutions, credit transfer and funding for trimester-based institutions, and study abroad fees. Students expressed discontent at the restrictions imposed by the new policy on their study abroad opportunities. The new policy limits the total number of students who can study at non-partner institutions (schools which do not have an exchange partnership with Yale-NUS) in Academic Year (AY) 2017/18 to 40. Prior to the introduction of this restriction, around half of the 222 students who studied abroad studied at non-partner institutions or programmes. CIPE implements individual limits on the number of non-partner spots by geographical region. For instance, the number of students who can study abroad at a non-partner institution in Asia, Latin America, or Africa is limited to nine. In comparison, six members of the Class of 2017 studied abroad in Japan alone. The lack of geographical diversity is also reflected in partner institution offerings. Of the 103 places spread across 21 partner institutions for AY2017/18, only 18 are for institutions located outside of Europe and North America. 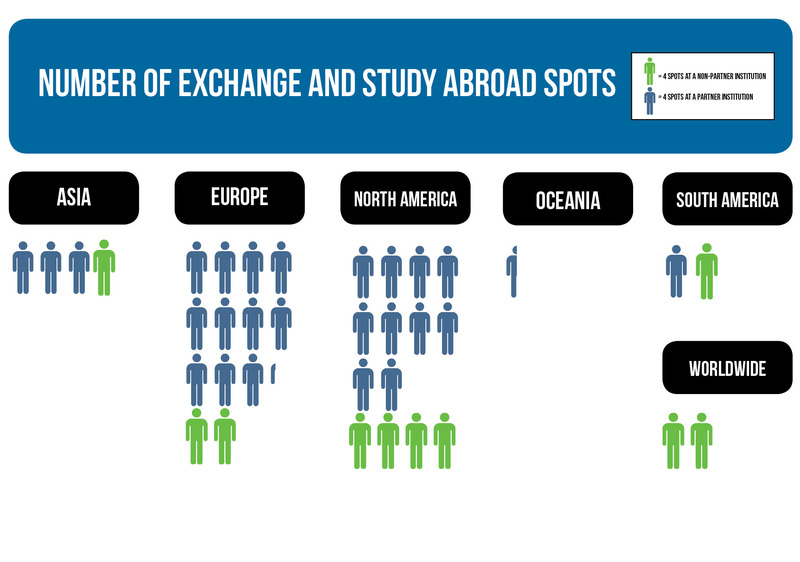 Students expressed concern over the limitations on places at non-partner study abroad programs, and the lack of diversity in partner institutions. Lindsay Allen, Associate Director of International Programmes at CIPE, said in an email interview that study abroad is transitioning to an exchange-based model in order to promote long-term sustainability. Places at non-partner programmes will gradually be reduced in the future as CIPE builds more partnerships with various institutions, including those in Asia, Africa, and South America. “We are confident that most of our students will be able to find multiple [partner] institutions on the list that are a good fit for their interests,” Ms. Allen said. “We believe that the exchange model is the best option for Yale-NUS, but for now we do plan to keep some non-partner spots for students whose unique interests and needs cannot be met by current partners,” she added. Under the second change in the Yale-NUS study abroad policy, CIPE will cover only one trimester’s worth (approximately eight weeks) of tuition for trimester-based institutions such as Oxford or Cambridge, but students will pay Yale-NUS tuition for a full semester (14 weeks). Students who study abroad for one trimester will be allowed to transfer a maximum of 14MCs to Yale-NUS. Students who wish to study abroad for longer will have to fund subsequent trimesters themselves. They can transfer a maximum of 20MCs for two trimesters, but will have to pay one semester’s worth of Yale-NUS tuition fees and one trimester’s worth of overseas tuition fees. Previously, students could study abroad for two trimesters while paying one semester’s worth of Yale-NUS fees. Lastly, under the new policy, students are responsible for covering the costs of their room and board, airfare, and other personal expenses when going abroad. They will pay Yale-NUS tuition fees, but not residential fees. This change was implemented in AY2016/17. Previously, students had to pay Yale-NUS tuition and residential fees, as well as a study abroad fee of SGD3,000 for a semester (or 10,000 for a year), but had their overseas tuition, accommodation, and food expenses covered by CIPE. Students who require financial assistance to pay for room, board, and other expenses under the new policy can apply for need-based funding. Chinese Privilege Checked, Now What?